My new favorite lunch. 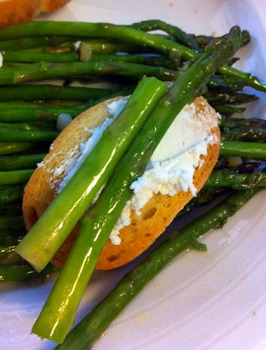 Toasted baguette with goat cheese topped with asparagus cooked in EVOO and garlic. It’s a delightful combination.